I’ve always considered myself to be a pretty stand up, honest person. If I’m feeling a certain way because of something someone did, I’m going to let them know. I don’t think I have always been this way necessarily, but as I’ve grown up I’ve come to realize that things won’t change until you let people know what you want changed. 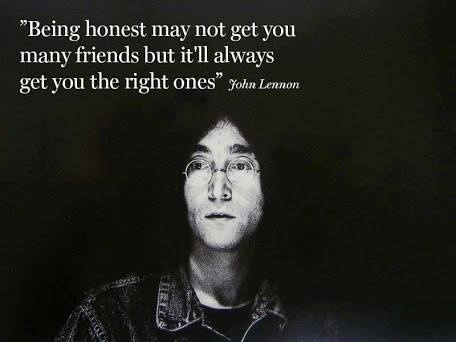 When it comes to relationships with others, I strongly believe that you should be open and honest about anything. Whether it’s telling your friend that the shirt she is wearing isn’t the most flattering, telling your significant other how something they did made you feel (good or bad), or talking about an issue that arose based on someone else’s actions (or lack there of). I’m not saying that being rude or blunt is the solution. I just think, that if you are truly upset because of something that happened, you need to determine what that relationship means to you. If it’s an insignificant bond that you don’t overly care about, then it’s probably just best to leave the issue and focus on other relationships in your life that make you happy. However, if it’s someone you deeply care for, then an expression of how you feel needs to be shared, regardless of how difficult it is. That’s the only way you can hope for a positive change with him or her. I know what you’re thinking…easier said than done! Everyone knows that the truth isn’t usually what a person wants to hear. Reality check: It’s not always going to be rainbows and butterflies! Many of us dread telling people how we really feel. But the way I look at it is, if the person you are addressing is a true friend or a dedicated partner they are going to respect you. Yes, they may feel a little attacked at first (I think it’s only natural). But, once they’ve had time to decompress and think about it, they’re going to listen to you and try to solve the issue together because they care for you just as much as you care for them. If they don’t do any of the things above, well then…maybe it’s time to re-evaluate and reflect. Is that the type of person you want in your life? Do they value the relationship as much as you do? Do they care how you feel? Will they stick around through the good, the bad, the ugly? It’s difficult to face the reality of these questions because we don’t want to accept the truth behind them (probably ’cause we know the truth ain’t rainbows or butterflies!) But maybe this truth will set us free. Maybe knowing the answers will allow us to make a tough, but necessary decision about the status of the relationship. You get to decide. I know for me personally, I’d rather have a few truthful relationships, than many disloyal relationships. What about you? Recently, I’ve been thinking a lot about this quote by Robert Brault. I’m sure most of you have read it or seen it (perhaps on Pinterest?). I don’t think enough people in this world really appreciate the little things in life. We’re so stuck on the negatives (myself included) that we forget to be grateful for the people, places and things around us. Cause, let’s face it..when it comes down to it. It’s the little things that truly make us the happiest! So for today…I’m putting aside all of my negativity and taking a few minutes to reflect on ‘the little things’ that really put a smile my face. Maybe it’s time we all take a few minutes from our hectic schedules and think of some ways we can show our loved ones how much we really care (whether it be your BFF, family or significant other). Here’s some helpful tips for those of you who might be struggling with this one…. Guys, screw taking your girlfriend out for a fancy 5 course meal that will cost a fortune and instead, make her breakfast in bed or write her a cute hand written note for when she gets home from work. Girls, make the effort to see your best friend after he/she has had a really rough day or find the most perfect birthday card to give to them. Everyone, give your Mum/Dad or Brother/Sister a BIG hug when you see them next. 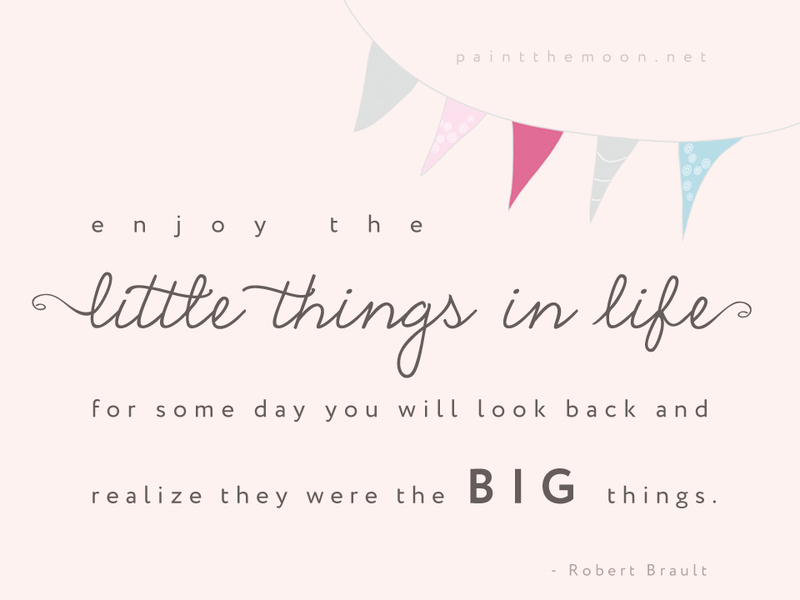 Cause sometimes…those little things in life occupy the biggest part in our hearts!